Summer is here and we all know at least three people headed to a beautiful white beach to relax, only to return with a tan to make us well and truly jealous. Our only consolation? At least they couldn’t bring that beautiful I-spent-a-day-at-the-beach hair with them! While you may have to leave the real deal in a beautiful hot country, you can still get that great texture in your hair regardless of whether you live in a city or the middle of nowhere. Salt sprays have been the secret to some envious celebrity and model hairstyles for years, but we’re only just starting to see a good variety of different salt sprays in stores – better late than never! As huge fans of this amazing product, we’ve created this list of the best ones out there to save you time and effort. All of the products on our online shop have been used by our professional stylists in salons across the country, so you can be sure to get the best products for your hair. We keep the stylists involved in many aspects of the business and even get their opinions on the different products included in our blog posts. For professional photoshoot worthy hair, this is the salt spray for you. 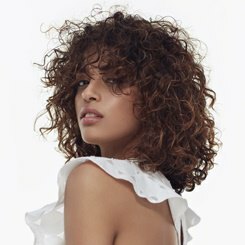 Designed for models, this is a great way to create a volumised, tousled look that can be easily restyled throughout the day. Salt is the second ingredient on the list, so this is certainly going to give you some texture, but those with dry hair may want to step up on the hair serum. As a big favourite among our customers, this salt spray had to be included in our guide. This spray gives great texture and body to hair, with even thin and limp hair showing improved results after using this product. 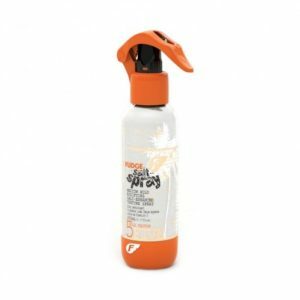 The great thing about this spray is that it doesn’t cause frizz, but in fact helps to fight against humidity-induced fly-aways. We found this product created volumised curls in hair that naturally had at least a slight wave. This salt spray was great for adding definition and texture to curls, making them seem fuller. This is a great product if you’re concerned about restyling or running your hands through your hair during the day – expect a slightly less silky feeling than your natural hair, but it’s a serious trade-up as you’ll get full-bodied hair that lasts all day long. If you have naturally straight hair then don’t expect this to turn you into a surfer chick with just one spritz, but it will give you some serious volume without the crispy feeling of hairspray and mousse – certainly better than other salt sprays on the market! Sometimes one spritz just isn’t enough, so we turn to this salt spray as it’s one of our favourites in terms of buildability. The ingredients list of this bottle is quite impressive with sea salt directly from the Dead Sea included to provide an extra bit of fullness for your hair. It also includes PVP which is a setting polymet to give your hair an extra bit of support and hold once it has been styled. Like most other salt sprays that contain real salt, this product can have a drying effect, so add a moisturising mask or serum to your haircare routine once/twice a week to keep your hair silky smooth and well nourished. Although that may be true for most salt sprays, this one certainly stands out from the rest as our professional stylists even recommend this product to customers with dyed and coloured hair. 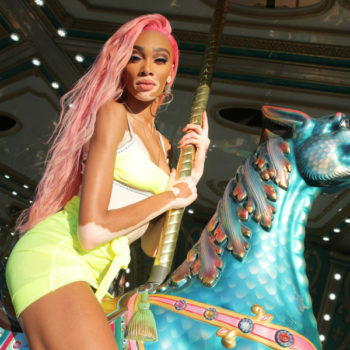 Not a combination you’d be likely to try without expert advice due to the damaging effects salt sprays can have on coloured hair, but this is an exception that all of our bottle babes will be glad to discover. Now you can have beautifully coloured hair and beachy locks at the same time without having to worry about your hair colour being damaged by the product! This product gives a matte, natural finish with a light hold – this is no hairspray substitute so if you’re looking for strong hold then this isn’t the product for you, check out our hairsprays for something that will give you a longer hold. This salt spray won’t make your hair sticky, crispy or wet looking and has been designed for use on wet, damp and dry hair – what’s not to love! Find out more about this salt spray here and buy your bottle now! As one of the more affordable sea salt sprays in this guide, this should be high on your list of considerations for great results and value for money. The label.m Create Sea Salt Spray is also extremely versatile – our stylists recommend this to both male and female clients, so don’t be surprised if you see this product on your significant other’s bathroom shelf. The only snag for some may be the scent of this salt spray. While most find it delicate enough to ignore, or nice enough that they spray a little extra for an added summery feel, some may find it strong, so if you’re looking for a fragrance-free option then this is not the product for you. That said, this is a great product for all hair types, but those with thinner hair will notice a bigger difference with hair appearing visibly thicker. Say goodbye to that annoying frizz and flyaways because one of the best results you’ll see with this product is a smoother, tamed style. Like all other label.m products, this salt spray includes their exclusive Enviroshield Complex technology that protects against damage caused by heat styling and UV rays. 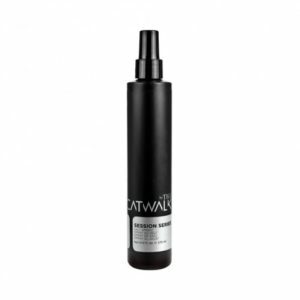 Check out this salt spray or buy your own here. All those with thin, limp hair listen up, you may have just stumbled across your holy grail product! This is a big favourite with our clients and professional stylists for the great results it shows on thinner hair types. Apply 2-4 sprays of this to your roots while your hair is still damp and blow dry upside down. 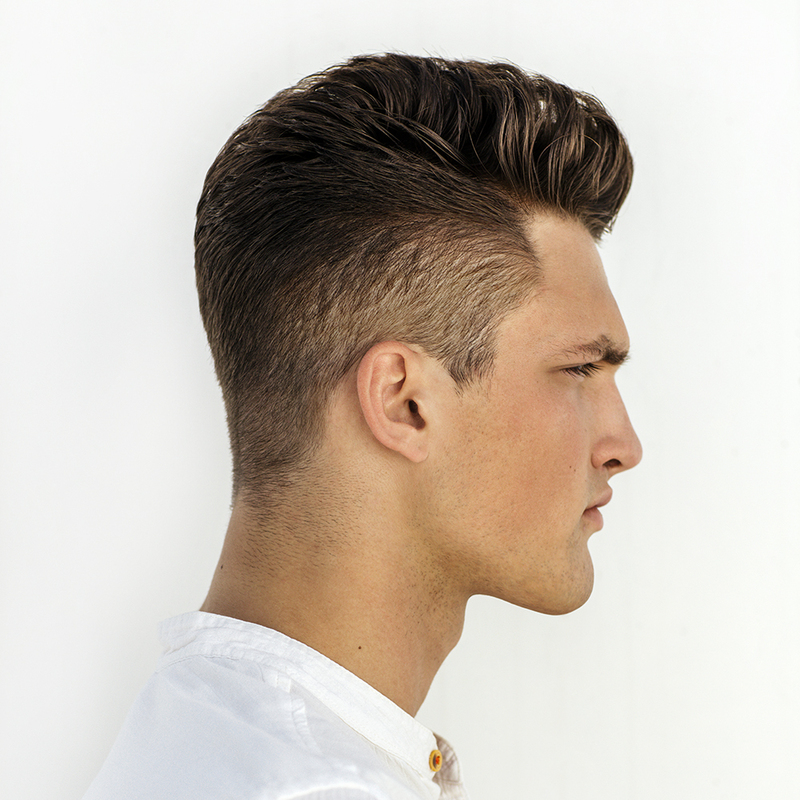 You’ll find your previously lifeless hair has volume and takes longer to become greasy – a win win if you ask us! This is another versatile salt spray, spray this onto your hair while it’s still damp and blow dry for a medium hold, or spritz over dry hair for a light hold and re-workable texture. Infused with sea crystals, this salt spray will work with all hair types to add definition and texture with a smooth matte finish. We have nothing but praise for this great little salt spray, with the exception maybe of it’s size. While this goes a long way – you won’t need more than a couple of sprays to cover your whole head – the bottle is smaller than others in this list and getting to the end of one of your favourite products is never a good feeling. Aside from that small niggle, this is a great salt spray that’s perfect for almost every hair type and doesn’t feel heavy or sticky! Can’t wait to see the great effects of this in your hair? Buy your bottle here. Introducing the foolproof salt spray that has earned its reputation as one of the best salt sprays on the market. The Fudge Salt Spray has been popular with our team and clients for years, and for good reason too; it’s a salt-enhanced texture spray that goes the extra mile to protect and nourish your hair while maintaining great shape. The ingredients list of this product includes Provitamin B5 to strengthen and condition hair, anti-humidity ingredients to keep frizz and flyaways at bay, and protection from damaging UV rays. Clearly we’re big fans, but even celebrity hair stylists and models use this product to create their red carpet and runway looks. The bodifying effect gives you volume with movement so there’s no need to worry about your hair looking like rats tails by the end of the night. This product also gives a medium hold to any style. If we hadn’t convinced you already, this salt spray is also perfect for beginners and is completely foolproof. Spray this product too close to your roots, unevenly across your hair or just in the ends and you’ll still get great results – no wonder it’s a team favourite here at Regis! If you’re looking for your first salt spray then this is certainly a high contender! 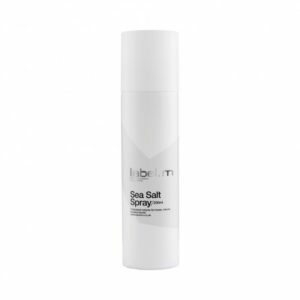 Think this is the salt spray for you? Get yours here. For anyone on a budget, this is the salt spray for you. Coming in at under £10, your bank account and your hair will love you after you add this to your hair styling routine. This is an amazing product with results similar to salt sprays over double its price. Expect versatility and visible results when you use this product – you’ll miss it if you ever run out, so order your next bottle when you notice your current one getting a bit light! This salt spray is a favourite of stylists across the country, with clients loving the undone beachy texture and the extra, visible volume it creates in all hair types. Even in limp, thin or straight hair, this spray will have a positive effect on the amount of volume and texture you can achieve with your hairstyles. Achieve a light hold by spraying this product onto slightly damp hair then scrunching or styling hair into place, or for a more volumised, chunky texture, apply this salt spray and blow dry your hair using a comb to style into place. Either as a first salt spray, or an inexpensive addition to your hairstyling routine, this is a great salt spray to try to see how it affects your favourite ways to wear your hair. The lightweight formula means it won’t weigh down your hair half way through the day, plus it washes out easily with just a little shampoo so there’s no awkward, slightly tacky feeling after you’ve tried to wash it out. 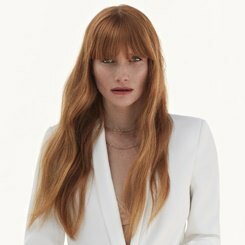 If you’re worried about the health of your hair, this should certainly be a consideration, we love that Wella have incorporated ingredients that protect hair from dehydration and UV damage – perfect for the summer months! For style and protection for your hair, buy your bottle here. So there you have it, the top six sea salt sprays loved by our stylists and clients from salons across the country. Did you spot a product you love, or did we miss it out? Do you have a favourite salt spray that gives you that perfect beachy look? Share your looks with us by tagging @RegisUK and using the hashtag #Regisuk! The stylist who created that salon-perfect hairdo at the end of your last appointment at a Regis salon will have used one of these sprays to give you that great look you loved so much. Now you can recreate it at home by adding one of these salt sprays into your hair styling routine!For more hair and beauty tips delivered straight to your inbox, don’t forget to sign up to our Newsletter!